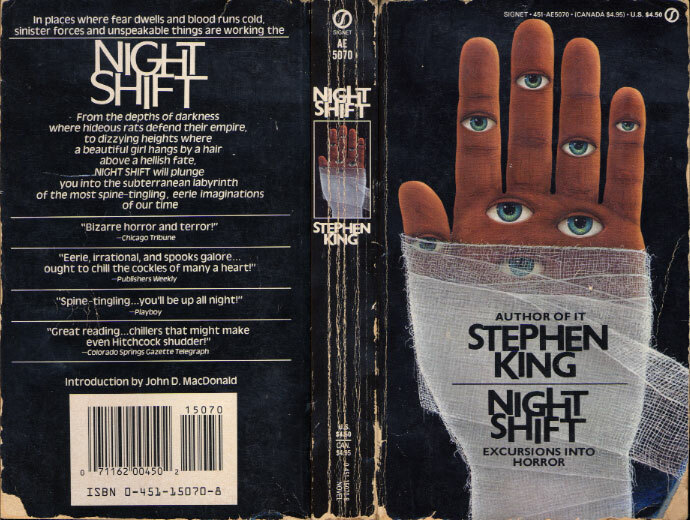 The Short Horror that Influenced Me Most…. “Jerusalem’s Lot” and “One for the Road” serve as a sort of prologue and epilogue to the novel, ‘Salem’s Lot. “Children of the Corn,” about a couple who stumble into a creepy religious town where there are no adults, was made into more sequels than it deserved. “Trucks” became King’s directorial debut, Maximum Overdrive, with Emilio Estevez and an AC/DC soundtrack King probably listened to while he wrote the script. My favorite of the bunch when I was a kid, “Battleground” (which I copied from memory for a school assignment on my dad’s Tandy laptop), was adapted well in the Nightmares & Dreamscapes miniseries, with John Hurt as the hitman besieged by the toymaker’s box of animated soldiers. In the Foreword, Stephen King answers a question in a similar fashion: when asked “Why do you choose to write about such gruesome subjects?” King responds, “Why do you think I have a choice?” I think he was on to something. 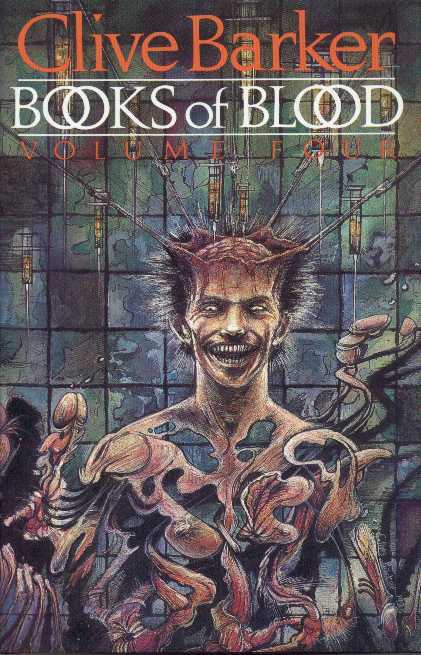 “I have seen the future of horror… and his name is Clive Barker.” This quote by Stephen King was splashed across the covers of Clive Barker’s Books of Blood omnibuses that I happened across at my local library. (For a small town, the Millbrook Public Library seemed to have just about everything a young horror fan required to keep himself sane.) Barker’s short stories are still some of the most visceral and imaginative I’ve ever read. His prose is often spare, but always vivid. It was Barker’s work that inspired me to try my hand at writing fiction outside of school assignments. My first few short stories as a teen were very Barker-esque, featuring sado-masochism and love-starved demons. Stephen King once wrote that short stories are becoming a dying art. Everybody wants longer novels, series, sequels. I believe there will always be a place for them. Anthologies are becoming increasingly popular, particularly in the horror genre. Short stories have the benefit of being read in one sitting. For a writer, there is no better spark for the imagination. Both Barker’s and King’s short stories have been and continue to be a huge inspiration for me and my writing. What’s your favorite horror collection or anthology? Let me know in the comment box below!